I believe this is also known as the boot chip. 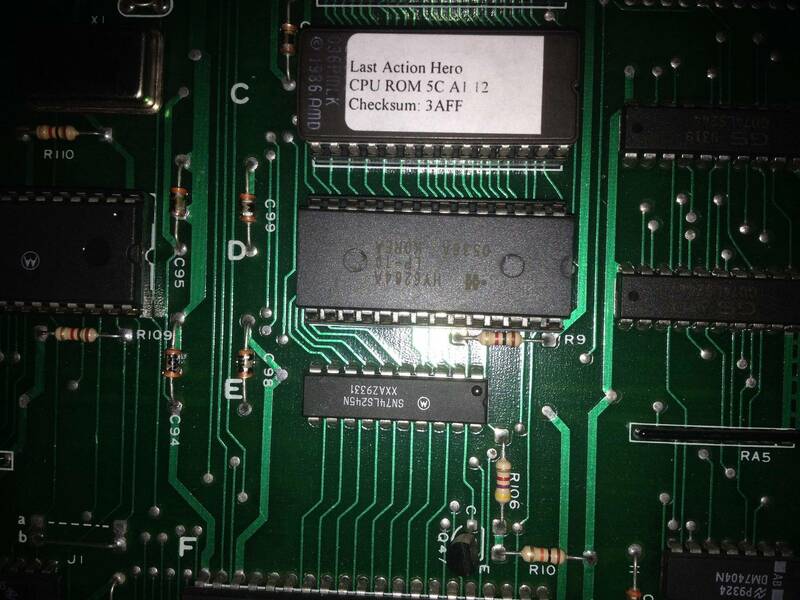 I have a Last Action Hero that is out of action - does not boot. Two different boards using the same chips have the same problem. I want to swap out the HY6264 chip and see if that works. Does anyone know where I can purchase one? Thanks! Silly me they are all over eBay. Although buying on eBay from a US buyer for chips is safer than the Chinese sellers. That's a standard, low power 6264. If it's a battery backed version - there's the Anypin board which negates the battery requirement. Thanks... I ordered three of those. Followup - the chips from Great Plains did NOT work. The chip from eBay worked great! LAH is up and running. Curious as to why my 6264 didn't work. I only sell genuine stuff ... and ebay normally sells the fake stuff. Take a pic of all three chips, the original, the ebay and Ed's? Maybe there is something missing? Yeah, sounds backwards. You sure the GPE chip isn't the one that worked? Never had any issues with Ed's stuff? Yes, I'm sure. I ordered three from Great Plains and they all look alike. 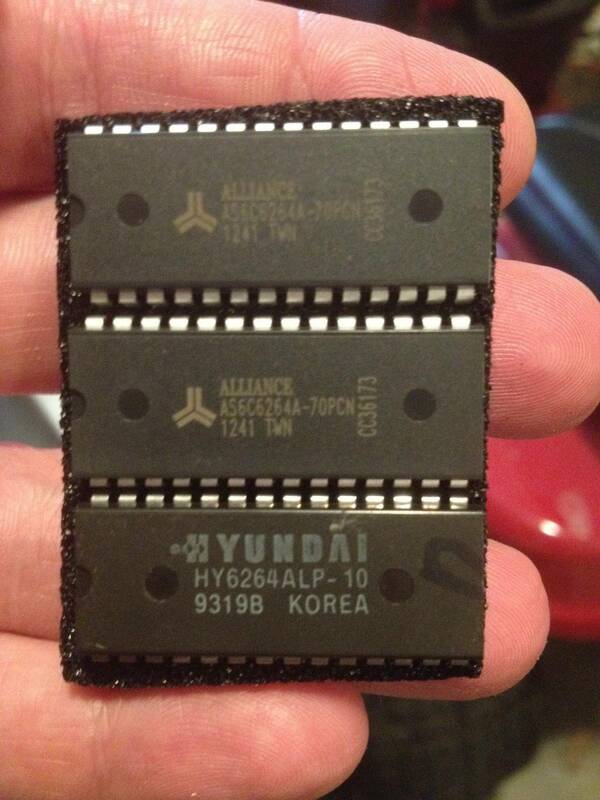 The one that was in the board said Hyundai on it and the eBay one looked different too. In fairness, I only tried one of the Great Plains chips and then moved directly to the eBay chip. The game wouldn't boot with the old chip or GPE chip. But it booted up just fine with the eBay chip. I am glad to finally have that game back in action. The first picture has two of the three GPE chips and the old chip. 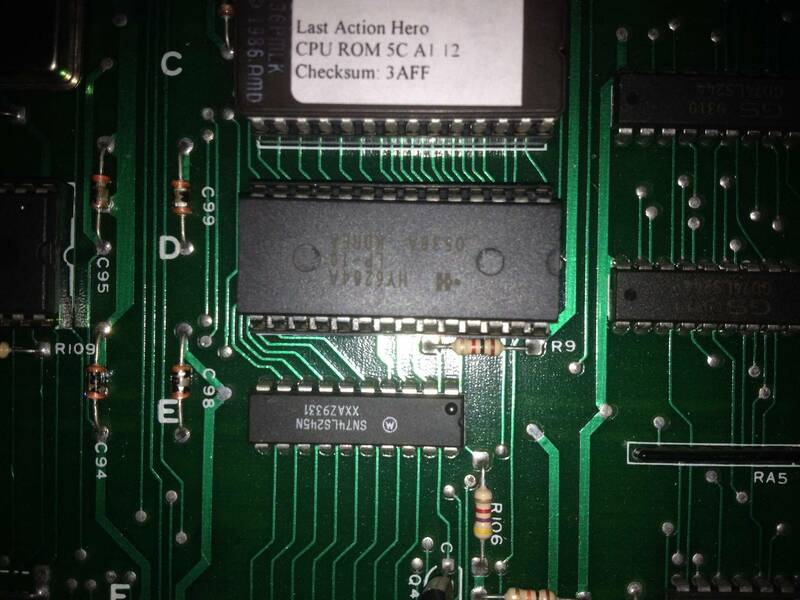 The second two pictures are of the eBay chip in the game. The third GPE chip is not pictured. It is just like the other two. I don't doubt for a second that Ed will make things right if the ICs are bad. In the future, anyPin NVRAM Battery Eliminator works great in DE games to replace the 6264 RAM, and you'll never need batteries again. RAM chips like these seem to have the highest failure rate of all ICs. I find bad SRAM chips occasionally in NOS factory tubes. Might of just had a single bad one, it happens. These things are more static sensitive than other ICs as well. Maybe it got zapped somewhere along the way before it made it into your board. No worries when buying from GPE. Be careful on eBay though. I get a lot of stuff on eBay and it works 99% of the time, but they are often recycled and refurbed including a new imprint on top. Some times i wonder if they really match up the right speeds, low / high power, wide/narrow, etc. but... but... the curiousity of not knowing is gonna kill us!!! Yea, try the other two GPE Chips. Should take you all of 5 minutes to check.